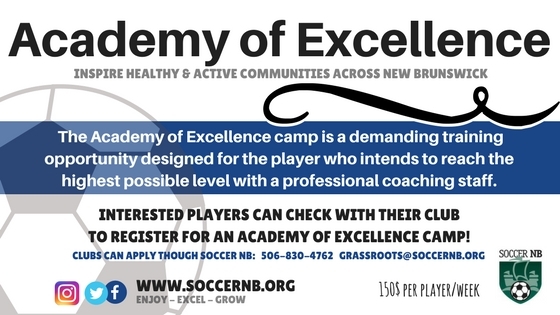 The Academy of Excellence camp is a demanding training opportunity designed for the player who intends to reach the highest possible level. Professional coaches with the highest qualifications and experience in Soccer staff, provide instruction in both individual skill development and advanced group tactics. The intent is to introduce new concepts and provide new dimensions for the player who has a solid foundation in the fundamentals of the game. The camp is aimed to players that are between 11 and 14 years of age. Each participant receives a Camp package and completion certificate. The Academy of Excellence takes place annually in August. It is a week long Camp. The cost is $150/week for each participant. Clubs need to guaranty a minimum of 16 participants to apply.